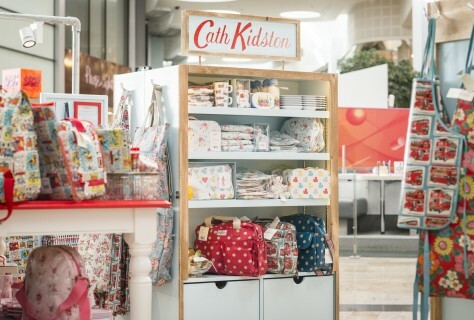 We are loving helping Cath Kidston with the roll out of their pop up shops around the UK following on from the successful launch in Silverburn Shopping Centre, Glasgow. This vintage inspired pop up shop uses simple display and block colour to highlight the iconic patters and product range. 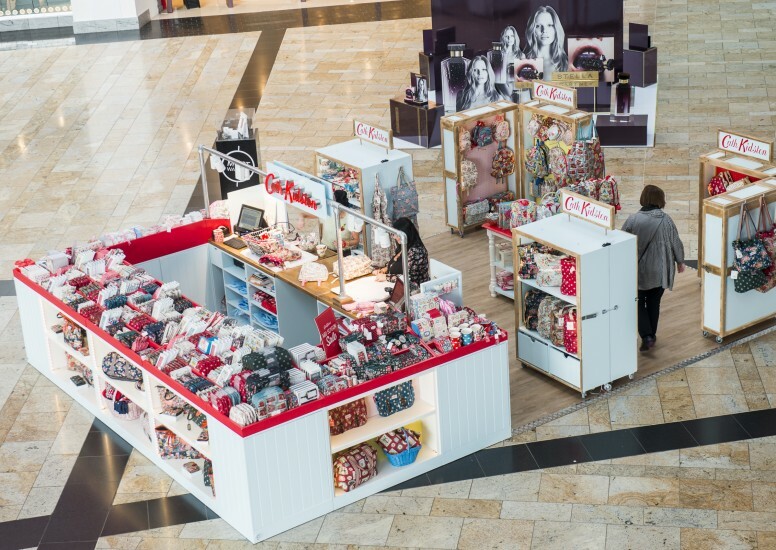 The pop up shop uses a large counter area interspersed with free standing furniture which works well for the overall effect and browsing. 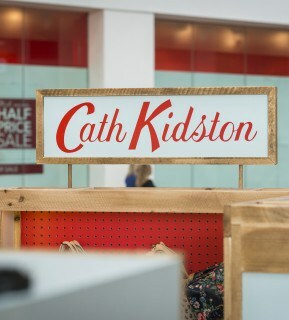 The branding is clear to consumers and further messaging has been added to create a friendly tone of voice consistent with the Cath Kidston brand.